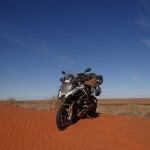 Two riders have just conquered the daunting Simpson Desert on a BMW R1200GS Adventure and BMW F800GS … unsupported on the longer, less trafficked WAA Line! 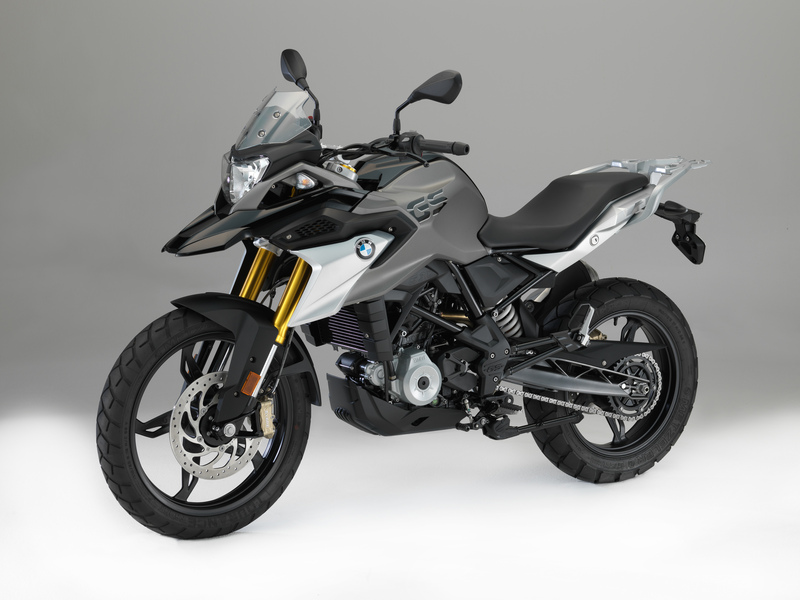 Proving that he doesn’t make idle boasts about the ability of BMW motorcycles, the feat was achieved by BMW Motorrad Australia’s own marketing manager, Miles Davis, and his mate Dean. The desert crossing was part of a whirlwind 4000km, six-day outback blast to Alice Springs to watch the Finke Desert Race earlier this month (click here to see highlights of this incredible event). 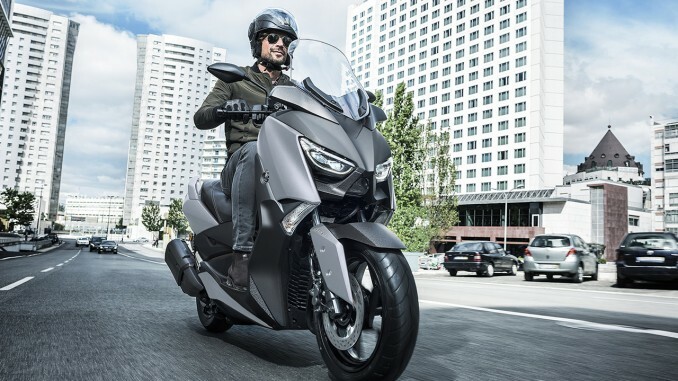 “The ride was ambitious and challenging at times, but it pretty much ran like clockwork,” Miles told Australian Road Rider. 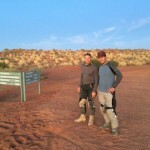 “The dream was to ride the Simpson via the French Line, but due to the high amount of Finke traffic across this route and the fact my riding mate, “Shawy”, was on his first adventure ride (he is an ultra fit enduro/MX rider), we decided to go for the longer but less travelled route via the French Line, Rig Road, WAA Line and down the Warburton Track to the Birdsville Track and south to Mungeranie. “In hindsight, this decision was spot on. We had a great, challenging ride with no incidents, while many riders pulled out of crossing the Simpson the same week for various reasons. 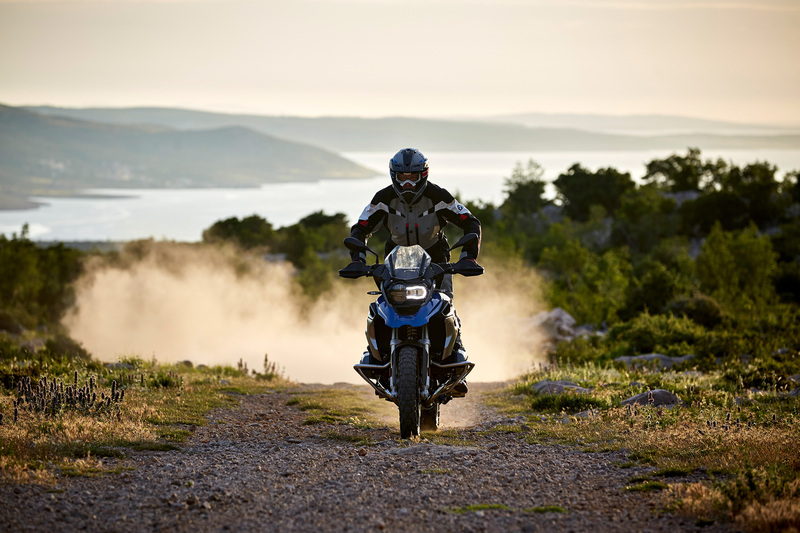 “I hope to get back and cross French Line on the 1200 GS Adventure at a more suitable time with less traffic. “The Simpson is a totally amazing experience. 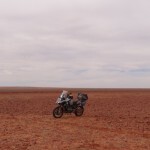 It’s a huge, desolate country and a bike is an amazing way to experience it,” Miles said. 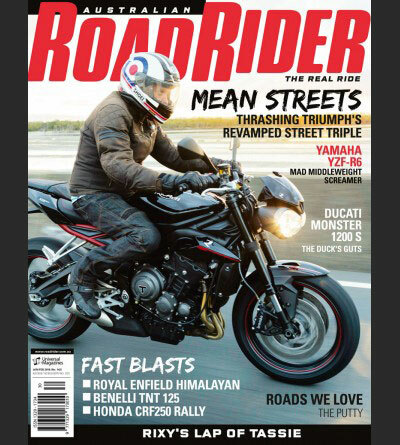 – 2 riders: Miles on an R1200GSA, Dean on an F800GS. 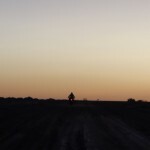 – Time and distance: 4000km in 6 full days of riding. 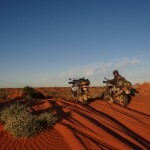 – Simpson Desert crossed unsupported west to east via French Line, Rig Rd, WAA Line and Warburton Track. – 1 night camped in desert. – Simpson crossing: 659km between fuel stops (Mt Dare and Mungeranie), approx 44 litres required on R1200GSA. 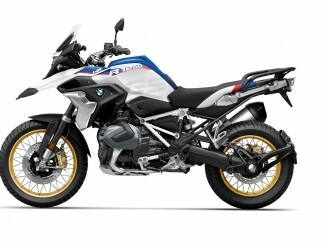 38 litres for F800GS. Additional fuel bladders carried. – For the crossing, combined we carried about 12 litres of water. – We packed light, no panniers, just a BMW roll bag on the back, tank bag and back pack. We saw a lot of riders who were overloaded and having a lot more problems because of this. 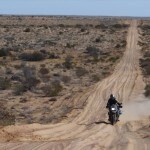 – Tyres for the Simpson crossing: F800GS used Continental TKC80; R1200GSA used Metzeler Karoo 3. 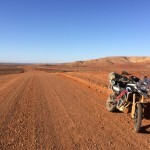 – We trailered the bikes from Melbourne to Broken Hill and back to save on highway riding and allow us to arrive at Broken Hill in the evening. 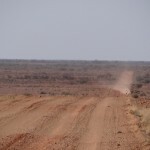 – Due to unseasonably wet conditions the week prior, the Oodnadatta track had just been reopened the day before we started. It was in pretty bad shape, the muddy ruts and floodways were especially treacherous in the dark from Lake Eyre to William Creek. Open road again: Heading along the famous Birdsville Track. Just park anywhere: Pausing on top of a dune along the WAA Line. Shawy and Miles at the junction of the French Line and Rig Road. Masses of traffic made the French Line’s sandy track a tangle of difficult ruts. 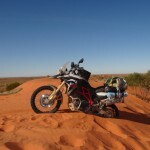 Who says the mighty R1200GS Adventure is too big for a desert crossing?! Just the beginning: The Simpson experience starts out with smaller dunes on the western side. Just reaching the Simpson Desert is a big job. This is the turnoff to Mt Dare. 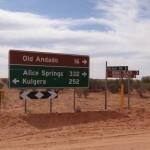 The sandy road near Old Andado Station. Big sky country: Wide open space is part of the appeal and the danger of outback riding. 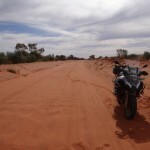 The ride also took in the Oodnadaata Track in South Australia. 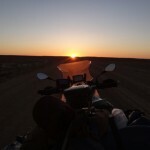 Sunset on the Oodnadatta Track. Light at the end of the world? The sun sets right on the Oodnadatta Track.